GOODGOD Small Club ~ A SECOND SERVING OF LOEFAH & CHUNKY – THIS THURSDAY! A SECOND SERVING OF LOEFAH & CHUNKY – THIS THURSDAY! 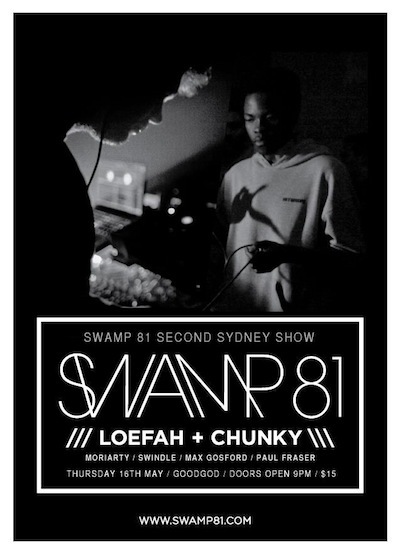 On Saturday night, we had the pleasure of hosting UK electronic pioneers Loefah & Chunky (Swamp81) for a massive night in the Danceteria – in fact, it was so huge that they’re sneaking in a spontaneous party before they go back home! If you were there on Saturday, you already know what’s in store… for everyone else, consider this a second and final chance! Tickets are just $15 on the door, from 9pm. Check out the full deets here!